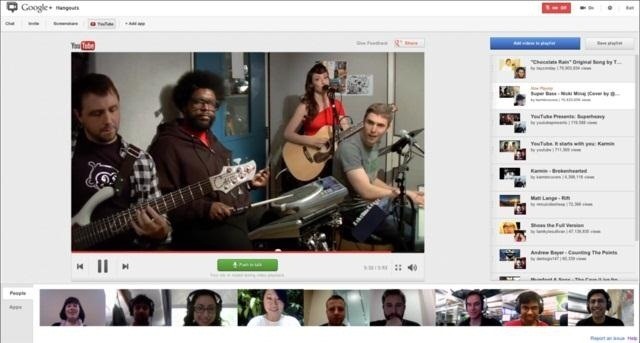 If you're a musician, Google wants you on Google+ Hangouts. In an effort to make it easier to stream your concerts, performances, and impromptu jam sessions, they've revealed their latest feature: Studio Mode. Enabling the new Studio Mode optimizes your Hangouts On Air for music, and the quality difference is massive. The feature is available for Hangouts On Air, which are Google+ Hangouts that allow an unlimited number of participants. 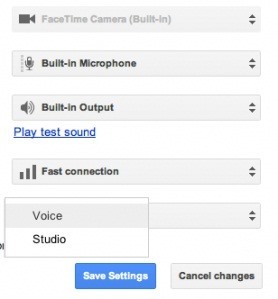 To begin using Studio Mode, start your Hangout On Air session, click settings, and switch from Voice to Studio Mode. You can switch back at any time, and only you need to change modes for your listeners to hear the difference. if you're curious as to just how much this change improves things, check out a comparison video below. It's almost unbelievable the difference it makes.